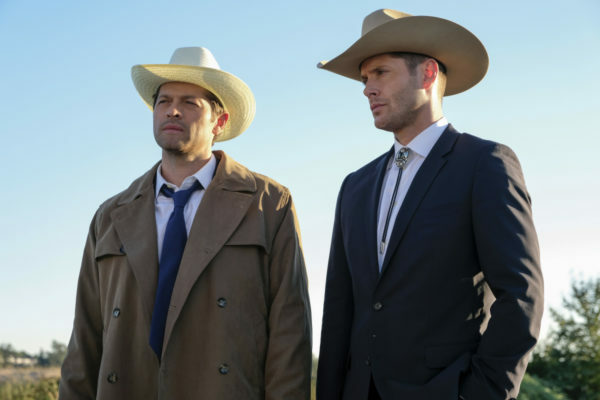 Dean gets to live out his cowboy fantasies again, bond with a newly-risen Cas, and solve the case of a ghoul wearing the face of a famous gunslinger. Seems like a win-win day for the elder Winchester. Oh, but if only it were that easy. The episode looped from a later scene back to what led up to that point and then returned us to the opening scene again. 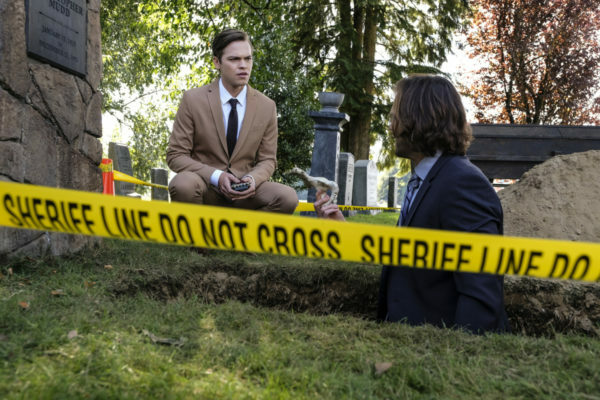 So, while we didn’t originally know how Dean and Sarge ended up hunting through a Dodge City graveyard, the plot to get us there was certainly an interesting adventure. So, too, was what evolved with Cas’s return, Jack’s growth as an energetic hunter, and Sam’s interesting observations about his brother. 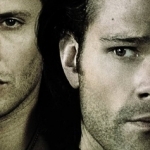 Cas’s return leaves the Winchesters and Jack to process what it means, how it happened, and where this leaves them in terms of navigating the path forward. The fact that Jack had the power to bring Cas back from The Empty, something even God could not do, proves that he is a very powerful being. The question is, can he use that power for good? He’s trying, but it’s difficult when some of his decisions lead to missteps. Case in point, the bank guard that got caught in the crossfire. 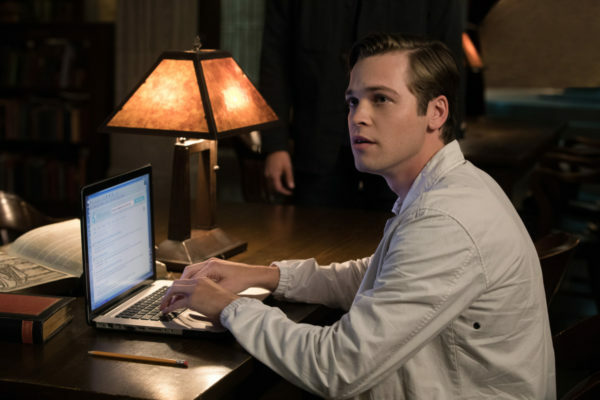 Prior to this season, the prospect of Lucifer’s kid just brought to mind fear and danger, but seeing Jack as such a pure kid who is just trying to find his place in the world has endeared him to me. I hope that he can be good, regardless of his destiny. And I hope the boys are able to find him before evil forces get hold of him, too. Jack’s enthusiasm for zombies rivaled that of Dean and his love of all things cowboys. 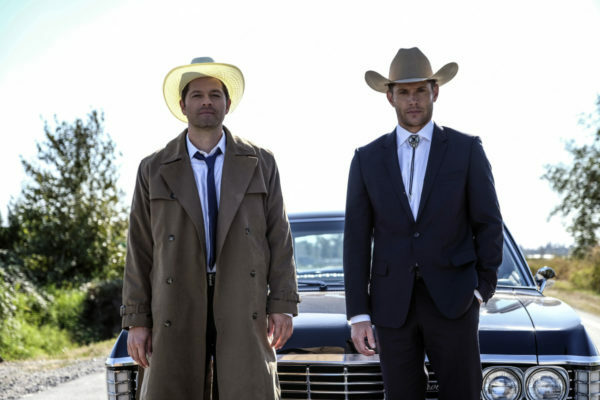 Not to go too basic, but Dean playing dress-up with his cowboy hat and bolo tie was a very appealing visual. And the rest of the team endured it because Dean deserves some happiness once in a while. He’s lost a lot of people in this world, and now he’s getting some slight wins. Let him bask in it! 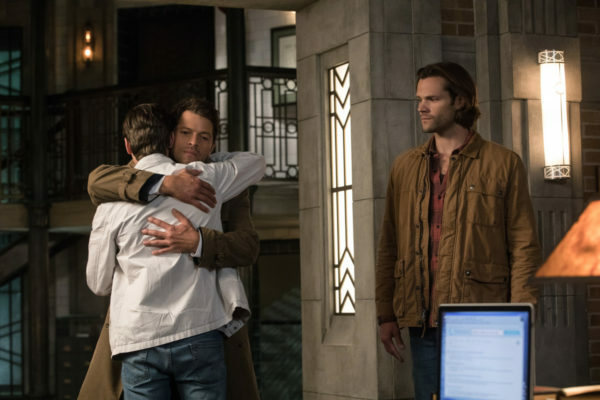 Dean is certainly glad that his buddy Cas is back, too. Even Sam commented on it. And, I’m not one to go Destiel, but the phrasing and body language of that comment made me wonder if Sam’s not questioning why Dean’s so happy with the angel once again rising from the grave. Whatever the reason, Team Free Will 2.0 is on the case. The case itself was interesting. Not only did they have a ghoul who was using his ties to a certain undertaker to get some easy-pickings, but he had taken on the form of a famous gunslinger in the process. Quite a feat, and quite the advantage for Dean since he was probably one of the only individuals who could spot the connection with just a look. I enjoyed Sarge’s character and his aid in hunting down the monster, along with his desire to just cover up the strange events and move on with life. We haven’t seen those types of situations for a couple of years, so it was a nice callback to simpler times. So, too, was the use of music throughout the episode. Great soundtrack this time around! 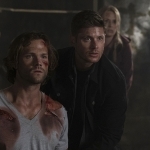 At the end of the episode we are left with one team member missing, of his own choice, and questions of how Dean, Sam, and Cas will get him back. The boy is obviously torn up about taking an innocent life, and he has a multitude of questions about how he fits into the larger world, but I think he can be a source of good — if he can have the guidance of the Winchesters. Here’s hoping Jack’s departure won’t be permanent and that the team can win the war against evil once again.